As a mama of a child with multiple food allergies, I find school lunches to be stressful. Little Guy can't buy lunch at school since he has allergies to dairy, eggs, tree nuts, peanuts and sesame. So, we pack lunch 5 days a week, every week. This year, I knew kindergarten would be a whole new "ball game". I was stressed that I had to pack allergy-friendly school lunches that no one would reheat for him. It's doubly difficult since Little Guy has become somewhat PICKY. I know, I know, he used to be my Brussels sprouts eating toddler. But things have changed. I can't really blame him. He hasn't had the chance to explore as many new foods as other kids. But I'm determined to get creative and keep trying new ideas. Buying lunch supplies to help me get creative with allergy-friendly lunches. Things like these EasyLunchboxes (part of a fun GIVEAWAY you can enter below! ), colorful silicone cupcake holders and character thermos have helped me brainstorm new lunch ideas. Realizing he'll eat (and likes!) cold food. For example, he'll eat pizza cold! In case you need a little lunch inspiration (I know I still like new ideas!) 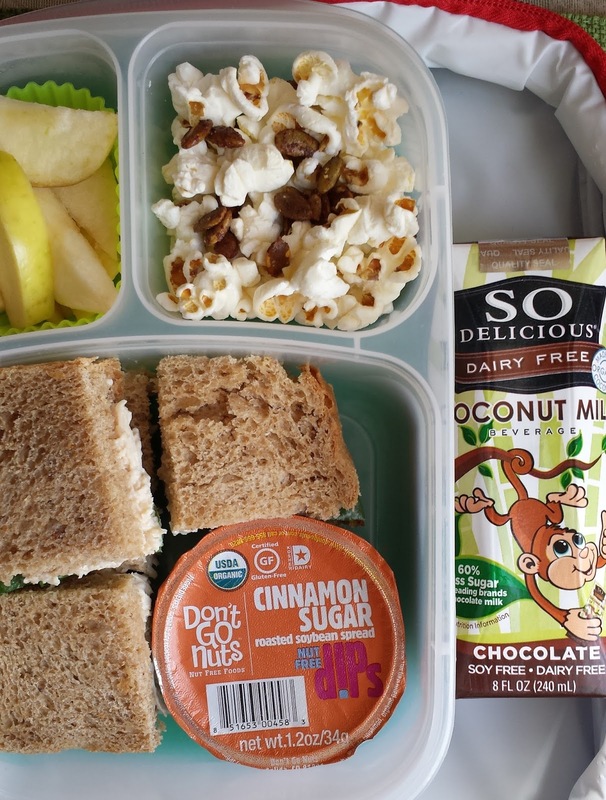 I thought I'd share 6 of our favorite allergy-friendly school lunches. 1. Nitrate free turkey, spinach and Earth Balance mayo sandwich (Don't judge me on the white bread, Little Guy is slowly accepting wheat bread more and more. If you ever told me I'd have a kid who eats white bread I'd call you crazy ;). Carrots, honeydew, pretzels and SunButter dip too! 2. Chicken salad sandwich made with Earth Balance mayo (we also love mayo-free avocado chicken salad), apple slices to dip in the Don't Go Nuts single dips. SkinnyPop popcorn mixed with SuperSeedz cinnamon pumpkin seeds. The awesome SoDelicious dairy free chocolate coconut milk on the side! 3. Nitrate free bacon (yes, Little Guy likes it cold! ), vegan banana muffin, cantaloupe and half a banana (kept it in it's peel to stay fresh). 4. 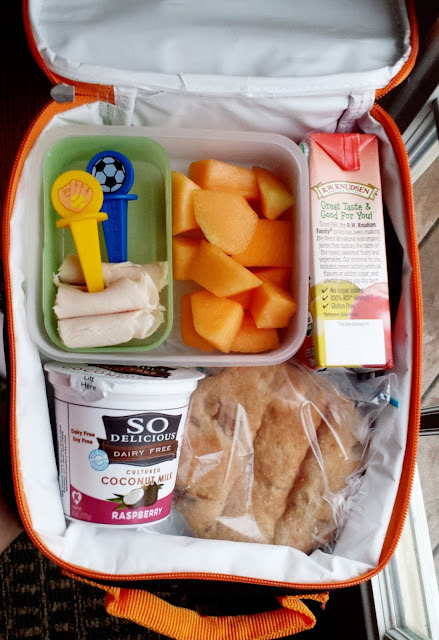 Nitrate free turkey rolled up on the Pick-Ease picks, cantaloupe, SoDelicious coconut yogurt, Ozery Bakery cinnamon raisin bread and juice box (although juice is high in sugar, we do 100% juice boxes occasionally!). 5. Dairy-free pizza (made with Daiya cheese), cantaloupe, peppers, carrots, homemade nut free granola bar (recipe here), and SoDelicious Chocolate Coconut Milk. 6. Spaghetti and egg-free Italian meatballs (made with hidden broccoli!) (recipe here), frozen peas and corn (he likes them cold! ), applesauce and apple chips. Here are some of the fun lunchbox supplies I'm currently using to make school lunches easy and fun! This giveaway is open to U.S. residents only. Enter the giveaway now! 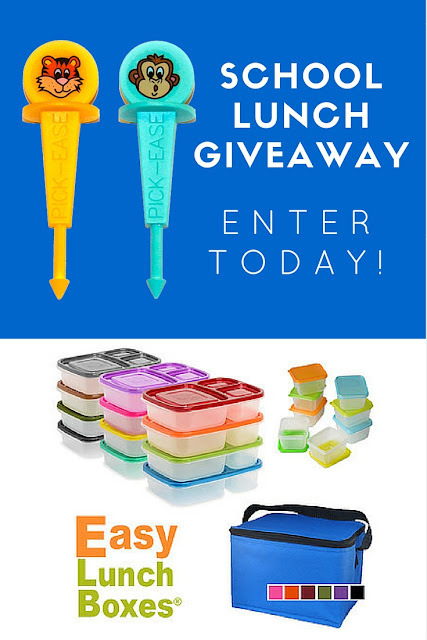 I received the awesome Pick-Ease Play Pack and EasyLunchboxes cooler bag and small containers to review for this post. Thank you to Pick-Ease and Easy Lunchboxes! All opinions are my own. This post contains affiliate links. There's some great ideas here. We're dealing with the same allergies. Thanks Emma. I'd love to hear how you guys handle lunch too - please share! 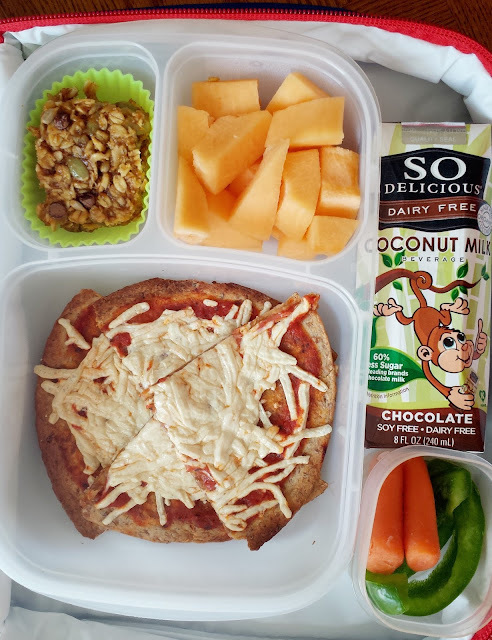 I'm ALWAYS looking for new lunch ideas for my Little Guy! My little girl just turned 1 on the 24th and she is a pro at using her little fingers to pick up small bits off food but some things are a little slippery and harder for her to get so I would love the pick ease so I can teach her how to use them to pick up those pesky slippy yummies! I went and checked out some easy lunchboxes products and I love how reasonably priced their products are for the quality AND of course I love that their containers are leak proof! The pick ease are perfect for kids with sensory issues such as texture! My daughter would do great with these! The lunch boxes are great as they come in multiple colors, leak proof, and a reasonable size for many snacks and lunches! 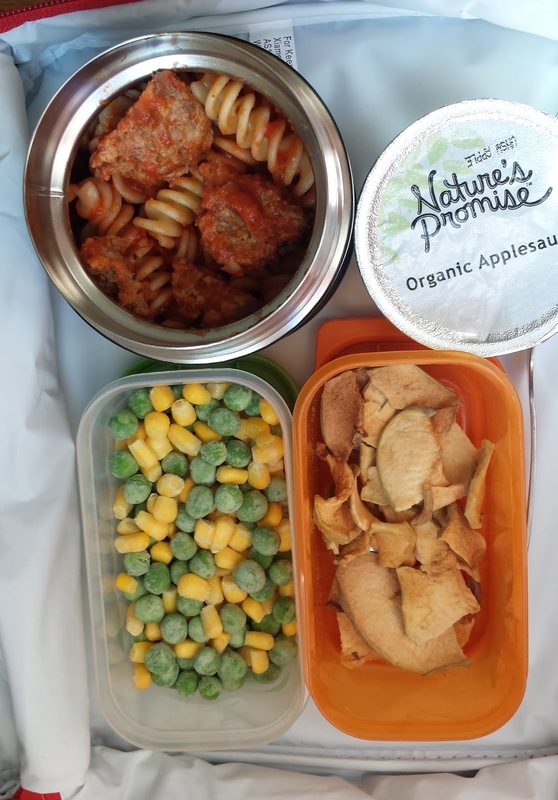 Kathryn these lunch box ideas are so cute and look so healthy, what a great post! and a chance to win lunch box supplies too! Awesome! The pick ease are perfect for the little ones trying to use before afork. I love your ideas! 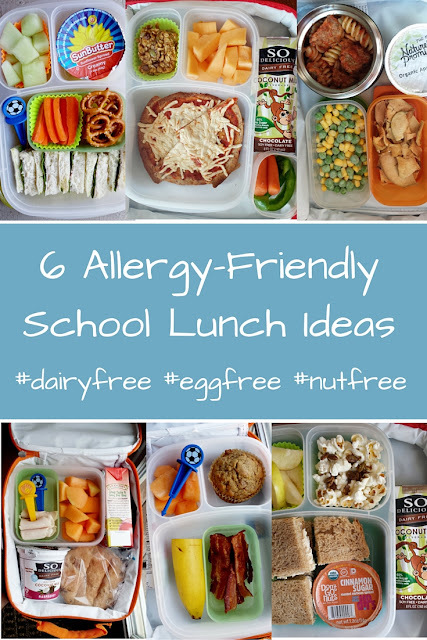 My daughter has peanut and tree nut allergies and I'm always looking for new ideas for her lunch. 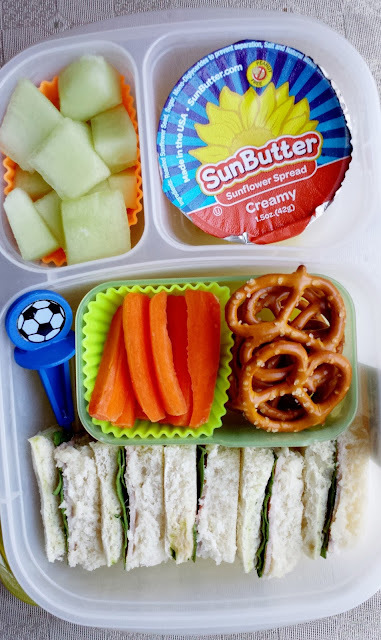 I already have Easy Lunchboxes (they're the best! ), but I was wondering if you could tell me what the other containers you use are? The orange and green ones? I love how they fit inside the Easy Lunchboxes. Thanks! 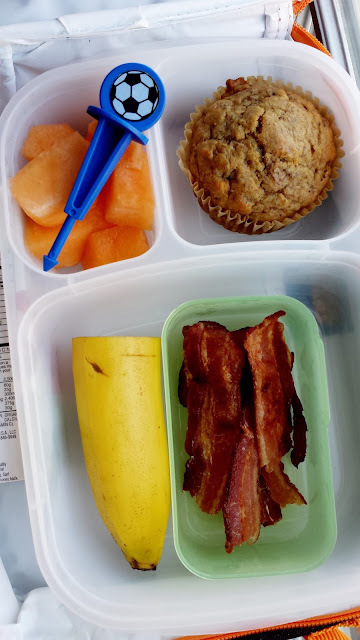 I love sending fresh fruit in my kid's lunch, I think they'd like the picks to eat it with! I'd use them to make dinner more fun for my son! These look great! I would love to use the pick-ease for my little guy to eat fruit without his hands getting so messy. Those are some super-cute lunches! I'm glad that you're off to a good start to the school year!